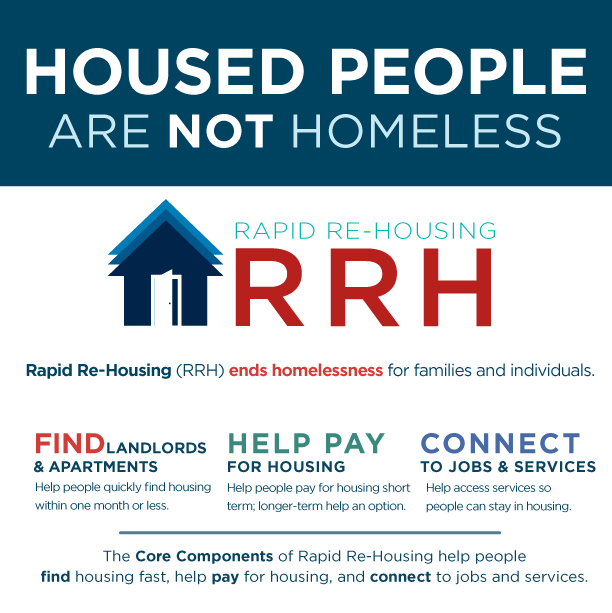 Rapid Re-housing is a solution to homelessness designed to help individuals and families to quickly exit homelessness and return to permanent housing. It is offered without preconditions (such as employment, income, absence of criminal record, or sobriety) and the resources and services provided are typically tailored to the unique needs of the household. Financial assistance may be available to eligible clients to assist with deposit and rent. Individuals in the Rapid Re-Housing program work with a housing case manager to secure, maintain, or increase their income and access mainstream resources with a goal of housing stability after the program ends. For more information or to apply, contact Debbie Peck, Housing Stabilization Manager at debbie@shelterhouseiowa.org.